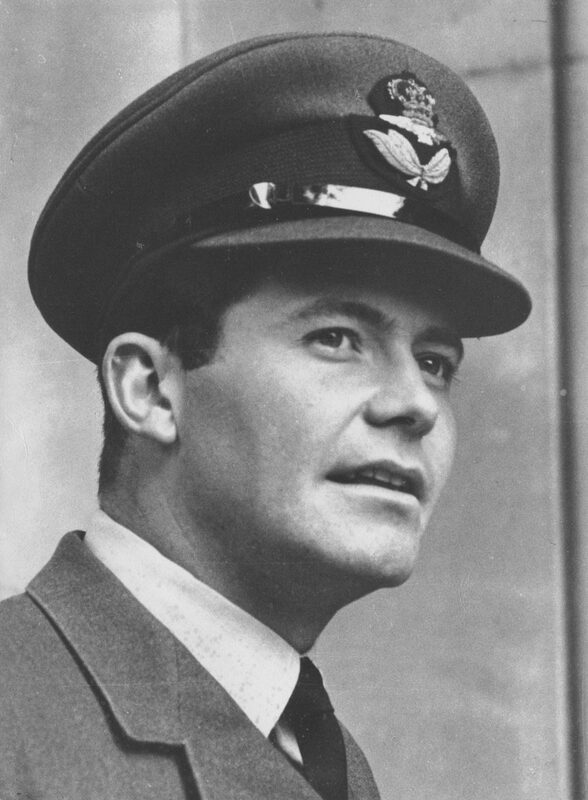 John Haynes, during his RAF days. Photo courtesy Haynes Publishing. When young John Haynes placed a classified ad to sell his home-built Austin 7 Special, he never could have imagined that this simple act would lead to a repair manual publishing empire with branches in England, Europe, and the United States. On Friday, February 8, the founder of Haynes Publishing Group — and the man who helped millions of shadetree mechanics repair their vehicles — died at age 80, following a short illness. Born in Ceylon (now Sri Lanka) to British parents on March 25, 1938, Haynes developed his passion for automobiles at an early age, possibly sparked by rides in the family’s Morris 8 around the tea plantation managed by his father. In 1950, at age 12, he returned to England with his brother David, where both attended a boarding school in Kent. Favoring motor sports over contact sports, Haynes convinced his housemaster to let him spin wrenches on an Austin 7 instead of attending rugby practice. When he advertised the completed Austin 7 “Special” for sale at a profit, the ad generated more than 150 responses, giving Haynes the idea to pen a booklet detailing the steps necessary to help others build one. Building a 750 Special was printed in a run of 250 copies and sold out in a mere 10 days. Following graduation, Haynes joined the RAF to fulfill his National Service. There, he honed his business management skills while working in logistics but still found time to indulge in his passion for cars and racing (and entrepreneurship, founding Haynes Publishing in 1960). When a fellow service member purchased a tired “Bugeye” Sprite, Haynes agreed to help him tear the car down and rebuild it, only to realize that factory service manuals were not written with the shadetree mechanic in mind. Sensing an opportunity, Haynes bough a camera and carefully documented the teardown and rebuilding of the Sprite’s engine and other major systems. His text included exploded diagrams as well as pictures, something that would become a signature of the manuals that would soon bear his name. In 1965, the first Haynes Manual — covering the Austin Healey Sprite — was published in a run of 3,000 copies. It sold out in less than 90 days. Since then, Haynes Publishing (which was listed on the London Stock Exchange in 1979) has published more than 200-million manuals worldwide, covering everything from cars and motorcycles to more whimsical topics, such as specific Formula 1 cars, electric locomotives, and even the space shuttle. Its North American operation is based in Newbury Park, California, and it also publishes repair manuals for Clymer and Chilton. In 1985, John donated 30 cars from his personal collection to found the Haynes International Motor Museum, officially an educational charitable trust. Today, the collection includes more than 400 vehicles and is viewed by more than 125,000 visitors each year. In 2014, the International Historic Motoring Awards named it “Museum of the Year,” an honor shared with institutions like the Simeone Foundation Automotive Museum, the Mercedes-Benz Museum, and the Petersen Automotive Museum. In 1995, John Haynes was inducted into the Most Excellent Order of the British Empire, recognized for his Services to publishing. He remained at the helm of the company bearing his name until 2010, when he stepped down as chairman (after marking the firm’s 50th anniversary), but remained active in an advisory role. He also served as chairman of trustees at the Haynes International Motor Museum, where he was known to greet visitors and pose for photos on request. Haynes is survived by his wife Annette, brother David, sister Mary, two sons, and five grandchildren.